The Bhimrupi Maruti Stotra is one of the most powerful of all the Prayers and Mantras, which are dedicated to Maruti or Hanuman. 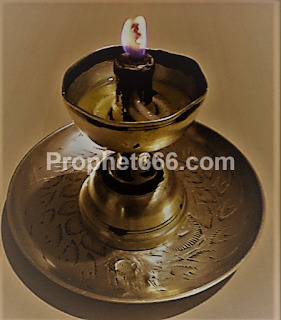 In this post, I have described how to exorcise evil spirits from the being of a possessed person, including a child using the immense power generated by the Bhimpuri Maruti Stotra. 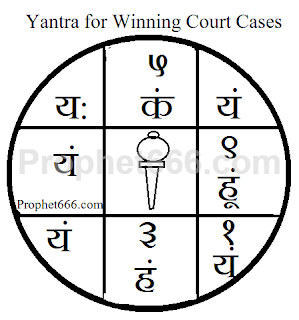 The procedure of Mastering and using a Navnath Panthiya Healing Mantra Chant for healing and giving relief to a person suffering from any kind of disease or ailment has been described by me in this post. 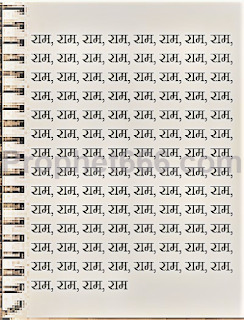 In the Hindi language, this Mantra Sadhana is called as the Sarva Rog Mukti or Nivaran Mantra Sadhana. 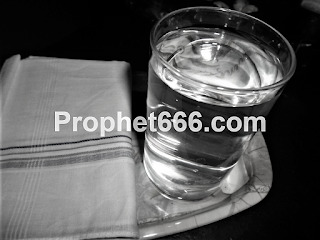 A paranormal remedy for the success, prosperity and proper and trouble free functioning of a factory or any other manufacturing unit where good or articles of any kind are manufactured has been described by me in this post. The most auspicious Tithi of Basant Panchami is being celebrated today on the 22nd January 2018. The Shubh Muhurut commences in the morning at about 7.17 AM and concludes at 12.32 PM in the afternoon as per the Hindu Panchang. This festival, which falls on the 5th Tithi of the Hindu Lunar Month of Magha is most favorable for the worship of the Goddess of learning Saraswati and anything that is related to studies, learning, acquisition of knowledge, including higher Divine Knowledge. This Vashikaran Mantra for casting a Love Spell on a coveted woman is almost a “Stree Ka Naam Lekar Vashikaran Karna” or an attract and control a woman by taking her name kind of Vashikaran Mantra. However, apart from taking the name of the desired woman, there is a special Vashikaran Prayog, which has to be practiced in order to successfully cast the Love Spell. In this post, I have described a specific Shatru Nashak Mantra to triumph or emerge victorious over a specific person, such as an enemy, competitor or a rival. In the Hindi language, this Mantra Experiment is called as Vishisht Vyakti Ya Dushman Ko Harane Ka Mantra. A simple and easy to practice Traditional Indian Home Remedy to get get relief from sneezing resulting from allergy towards dust mites and other invisible dust particles has been described by me in this post. The home remedy should be useful in giving relief to people suffering from this condition. In this post, I am writing about yet another Vashikaran Totka for men to attract a woman of their choice by casting a Vashikaran Spell upon her using a herbal mixture along with their own blood. In the Hindi language this Vashikaran Experiment is called as the Ladki Ko Mohit Karne Wala Jadi-Buti Aur Khoon Ka Vashikaran Tilak. In this post, I have described the method of Mastering and using a Tamsik Chamunda Mata Vashikaran Mantra, which is Mastered in a Smashan Bhoomi, to bind any desired person for any purpose, including love or business, under a most powerful and fearsome Voodoo Spell of Attraction. 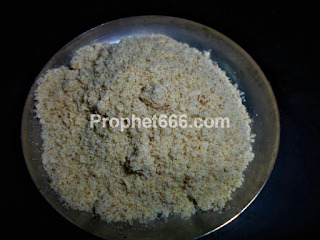 This Vashikaran Tantra makes the use of Water[Pani] or Nimboo[Lime] to cast the Voodoo Spell. 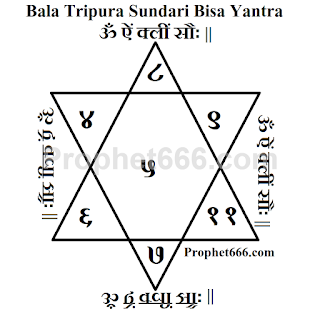 In this post, I have described the method of making the Sarva Siddhi Dayak Maha Tripura Sundari Yantra and the Special Mantra to meditate upon the Goddess. 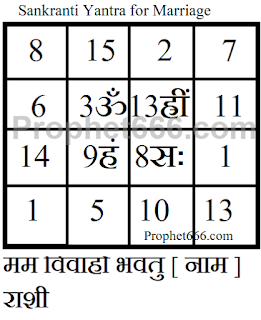 The Yantra, which comprises of the Mantra of the Devi and the numerals of the 15 Che Yantra is believed to be a most powerful form of the worship of Shakti Worship. 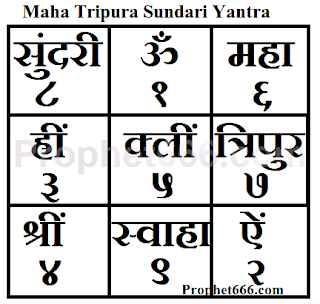 A most useful Hindu Healing Yantra, which acts as a Healing Talisman and Spell to remove boils, pimples, cysts, blackheads and acne from the face and other parts of the body has been described by me in this post. In the Hindi language, this talisman is called as the Phod Phunsi Nikalne Ka Yantra. In this post, I have written about 2 Slokas from the sacred Vishnu Sahasranamam Stotram, which can be chanted like Mantras to maintain good health and recovery from diseases and for emerging unscathed from dangers, accidents, calamities and threats from enemies and rivals. A simple and easy to practice magical trick, which makes a person glow in the dark, like fire has been described by me in this post. This simple Indian Magical trick is used by magicians to entertain people, however, it was used in the past and is probably still being used by tricksters to delude people into believing that they possessed paranormal, magical and supernatural powers. A Yantra-Mantra Experiment for getting married, which should be started on the most auspicious day of the festival of Makar Sankranti has been described by me in this post. This is a most powerful Yantra Sadhana for both girl and boys aspiring to get married to a suitable life-partner. In this post, I have described an unknown Mantra for walking and remaining submerged underwater for long periods of time. The Mantra is dedicated to an unknown Goddess called Jalavasini जलवासिनी and invokes her to bless the practitioner with this supernatural power and protect him. In this post, I have written about a most effective and beneficial Shiva Mantra to remove insomnia and at the same time to prevent bad and frightening dreams. In the Hindi language, this Mantra is called as the Acchi Neend Aur Bure Sapne Dur Karne Ka Shiva Mantra. In this post, I have written about the method of Mastering a Guru Dattatreya Healing or Peeda Nivaran Mantra Chant. Once, the Mantra has been Mastered, the practitioner is said to get the supernatural healing powers to heal and give relief to other persons by curing their diseases and ailments, including mental illnesses. In this post, I have written about a simple combination of 2 Saraswati Devi Mantras for enabling boys and girls to get married by removing the causes, obstacles or problems that are delaying there marriage. The great thing about this Marriage Mantra Sadhana, is that it can be performed by others on behalf of the prospective bride or bridegroom. This is called the Kapal Bhairav Vashikaran Mantra for getting the love of any man or woman, including a husband or wife. The Vashikaran Mantra makes the practitioner appear beautiful, charming and seductive in the eyes of targeted person and makes that person en-snarled by the beauty [Mohit] of the practitioner. Likhit or Written Mantra Jap is believed to be more beneficial and effective than Verbal or Vocal Mantra Japa by many Satvik Sadhaks engaged in Mantra Vidya. There are many authenticated experiences of common people trapped under dire situations who have reaped the immense untapped benefits of Likhit Mantra Japa.